The first words of advice MoneySense has for investors when it comes to Bitcoin and cryptocurrencies is simple: stay away. Smart investors tend to win by finding a few low-fee exchange-traded funds and leaving them alone as much as possible. Make investing boring and, if you want to explore around the edges of your portfolio, there are more adventurous strategies and individual stocks that can add a little beta to improve your alpha. Investing in cryptocurrencies has made many people rich. I personally managed to cash out my one and only Bitcoin with a fat gain and learned firsthand how complicated buying and selling can be. Odds are that cryptocurrencies are here to stay, but it’s a lottery and there is a really good opportunity to lose most of your money. Despite all that, MoneySense knows its readers want to understand how it works, even if they don’t actually invest in it. So, in the spirit of investor education, with a dose of caveat emptor, let’s get started. Bitcoin exchanges: Cryptocurrency exchanges let traders buy and sell for cash in a real-time walled garden environment. It’s the most direct way to get invested and trading Bitcoin, but it’s not always the fastest, since exchanges tend to have more stringent rules for identity verification. Widely-used exchanges that accept Canadian dollars include Quadriga or EZBTC in Vancouver, Coinsquare in Toronto, and Gemini in New York. You can track the rates Bitcoin is trading at across the Canadian exchanges using the Canadian Bitcoin Index. Most exchanges also trade in other major cryptocurrencies like Etherium and Litecoin, and will allow you to trade back and forth between currencies. To begin trading on an exchange, you’ll need to make an account and deposit cash using Interac online, wire transfer or other method. Before you can transfer cash into your account, the exchange will need you to upload a copy of your passport, driver’s license or bank statements, which then have to be reviewed manually by the exchange’s desk jockeys. Depending on how big of a backlog they’re dealing with, the process can take days, weeks or reportedly months, which is a long time to wait on a volatile commodity purchase. Quadriga recently began providing limited identity verification through Equifax, to help automate some of the process. Once you’re verified, be prepared to pay a percentage fee when you transfer cash between your bank and the exchange, as well as when you make trades on the exchange itself. CAD exchanges typically charge 0.1-0.5% fees on each trade. If you plan to make short-term or small-volume trades, you may be happy with storing your coins in your account on the exchange. However, if you plan on sitting on your investment for six months or more, it is a good idea to transfer your coins to an outside digital wallet like Blockchain.info or Bitcoin Core for storage. Coins held in an exchange are effectively stored in one big wallet, and unlike a normal bank or stock exchange, there is no insurance or regulation to ensure you don’t lose your money if the exchange gets hacked or runs out of money. With a private wallet, no one can access your funds unless they have your private cryptographic key. 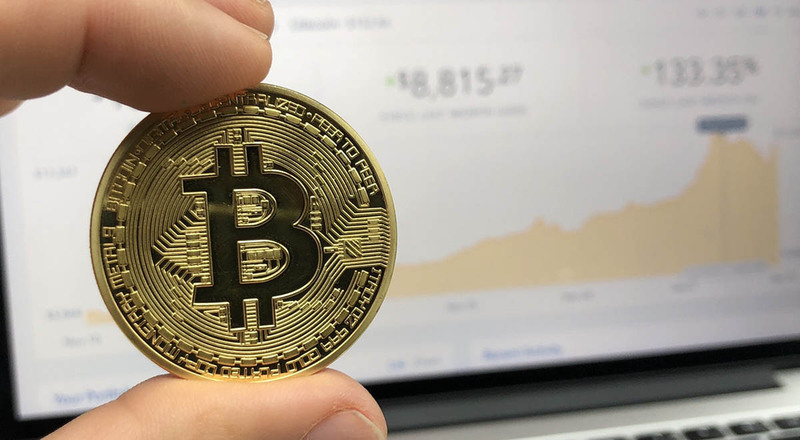 The downside to storing your coins outside the exchange, however, is that each time you transfer bitcoins back and forth between the exchange and your wallet you will need to pay a processing fee, which varies depending on network demand. If you request a transfer with a fee that is less than the current market rate, your transaction may end up stuck in limbo. If you do choose to use a private wallet, it’s a good idea to get familiar with the Bitcoin fee market, and learn how to calculate transaction fees. Online brokerage: If buying on an exchange sounds too invloved, and you’re not planning on making a large investment, you can buy bitcoin directly from a broker. MyBTC.ca is a Canadian company that will let you buy up to $1,500 worth of Bitcoin using Interac online or prepaid credit card. Buying from a broker requires a private wallet, so you will need to create one using a service like Blockchain.info. You will also need to verify your identity with MyBTC, but luckily you can do that using Equifax’s online identity verification and a Canadian phone number. WATCH: What’s Bitcoin all about? Learn from “the Cash Man”. Ohh Yeaahhh! To make a transaction, you simply need to enter the amount you want to buy, and then enter your wallet’s receiving address and your debit or credit card information. As an additional verification step, MyBTC reviews every new user’s first transaction manually, which means your first purchase may take up to 24 hours to process. Once that transaction clears, your future purchases should be immediate. Brokers charge a significantly higher fee per transaction than exchanges (MyBTC’s flat fee is 6.75%) but their fees cover all processing costs, including deposit and trading fees, and the variable processing fees for the blockchain transaction required to move Bitcoins from the broker’s wallet to your own. If you prefer to pay fees up front rather than being nickel-and-dimed, this may be for you. Bitcoin ATMs: Rather than buy online, you can also find a physical Bitcoin ATM in your area. An ATM works the same way as an online broker, except you can use your debit or credit card as you would at a real ATM, and the daily buy maximum tends to be higher. You may also be able to verify your identity documents on-site, by scanning in your passport, for example. There are well over 200 ATMs in Canada, concentrated in Toronto, Vancouver, Montreal and Calgary. Providers like BitAccess, LocalCoinATM and Instacoin operate ATMs in Canada, or you can search for an ATM near you using a site like Coin ATM Radar. Like with a broker, you will need a private wallet to buy at an ATM. If you’re using a wallet service that has a mobile app, you’ll be able to scan a QR code to enter your wallet address. Exchange rates, fees, and buy limits can vary widely depending on the ATM manufacturer and the company operating it, so it’s a good idea to do some research on Coin ATM Radar before choosing an ATM to use. Given the extreme volatility of Bitcoin, machines only a couple blocks apart may be offering BTC-to-CAD rates that differ by as much as 5% on a given day. ATM fees tend to be fairly high, sometimes exceeding 10% per transaction. Daily buy limits typically range from $2,500 to $10,000, though some go up to $100,000. Direct trading: If you really want to dig into deal-making with Bitcoin, you can find a trader to buy from on LocalBitcoins, which is essentially the Kijiji of Bitcoin trading. It’s an open marketplace where you can find and contact traders in your region. Sellers dictate their own rates and daily limits for buying Bitcoin, and have reputation ratings based on the success of their past trades. LocalBitcoins gives sellers the option to verify themselves and will show what the seller has used to confirm their identity in their profile. Buyers aren’t required to verify with the site, but sellers will regularly ask buyers for copies of their ID before they agree to a deal. Most Canadian sellers accept Interac e-transfer payments, but some prefer to meet in person and accept cash. If you’re making an online trade, LocalBitcoins will hold the traded coins in escrow until the seller receives the payment. That means the seller must have the coins available to sell when they accept the deal, and if they accept your cash but refuse to release your coins, LocalBitcoins can intervene to make sure you get your coins. Unlike an exchange, buyers send their cash directly to traders, so the only processing fees you will pay will be your bank’s e-transfer rate. LocalBitcoins doesn’t take a cut of trades, but makes money off of advertising that sellers can buy. Note however that sellers’ ask prices tend to be higher than on an exchange, so paying less in fees won’t necessarily mean you’re getting a better deal. Like an exchange, LocalBitcoins uses its own ledger and will hold your coins in an on-site account. You don’t need to use a private wallet to buy or sell, and any trades you make on the site will be instantaneous once the escrow is released. However the same rules about security apply — if you plan to be holding a significant investment, it’s a good idea to transfer the bulk of it to a private wallet. Bitcoin is more volatile than most private investors are used to dealing with, and it is as likely to lose 50% of its value overnight as it is to make significant gains. Never invest more than you would be comfortable losing. Remember that legally speaking, cryptocurrency trading is still the Wild West. The market has no regulation or protections in place, and even reputable market players do not answer to any authority. If you make a mistake, get swindled or simply lose your money, there is no one to turn to to get it back. Factor in this risk when deciding how much to invest. As always, it is a good idea to diversify. Most exchanges allow you to buy Bitcoin, Bitcoin Cash, Etherium, Litecoin and other major cryptocoins. If you are making a big investment, consider splitting it between more than one type of coin, rather than just buying Bitcoin. If you use a digital wallet, make sure you write down your private key or passphrase and store it somewhere secure. Many wallets do not offer a passphrase recovery option, so if lose your passphrase or someone steals it, that’s it — your money’s gone. The most secure way to store bitcoins long-term is with a hardware wallet like Trezor or Ledger. This is a removable USB device that you can get for $120-130 CAD plus shipping, which plugs into your computer and stores your wallet credentials behind a PIN code. Other ways of storing your private key, like in a software wallet or text file backup, are susceptible to being stolen if your computer is hacked.